The race route starts inside the Bataan Death March Memorial Shrine in Mariveles, Bataan where the Kilometer Post #00 is located. 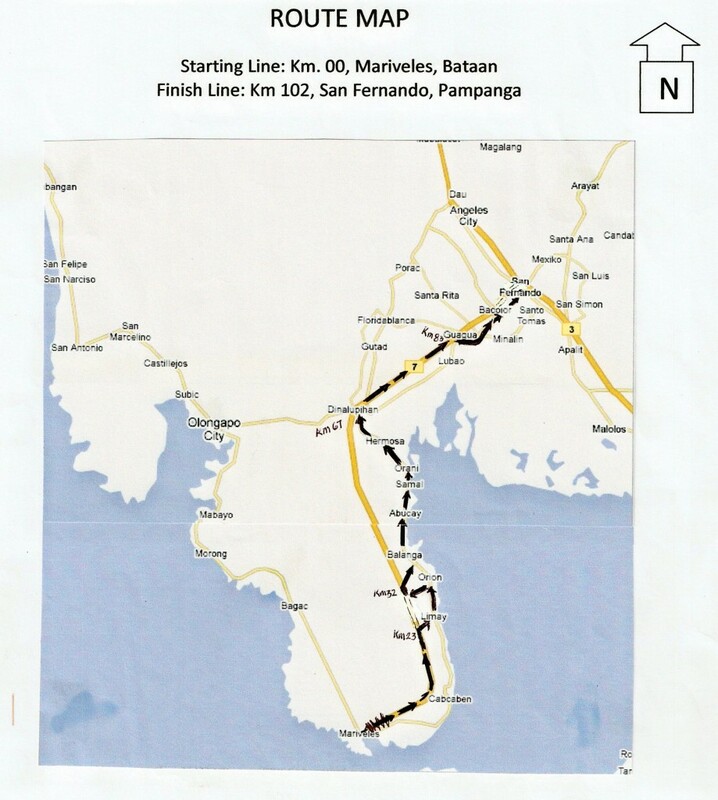 Every kilometer along the route is being marked with a white-painted Kilometer Post Obelisk located on the right side of the road as one goes to San Fernando, Pampanga. Mariveles, Bataan is located on the southern most tip of the Province of Bataan. It is a town by the seashore and it has a travel distance of about 200 kilometers or 3-4 hours travel time from Metro Manila. 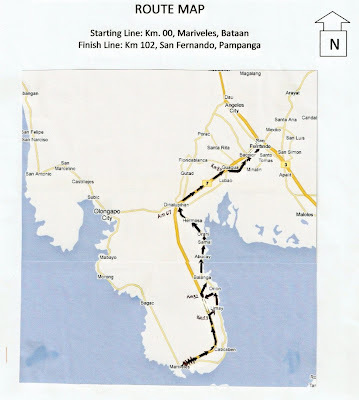 The road race ends at the Old Railway Station Building in San Fernando, Pampanga where beside it is the location of the BDM Kilometer Post #102.